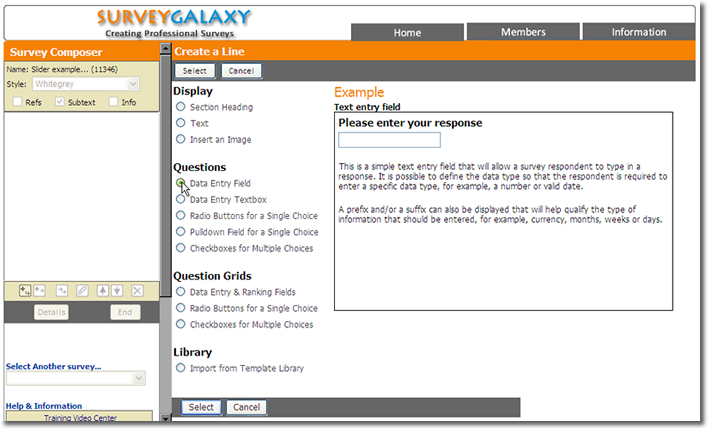 Survey Galaxy provides support for question and answers that require a slider format so that respondents can register their desirability between two conditions. 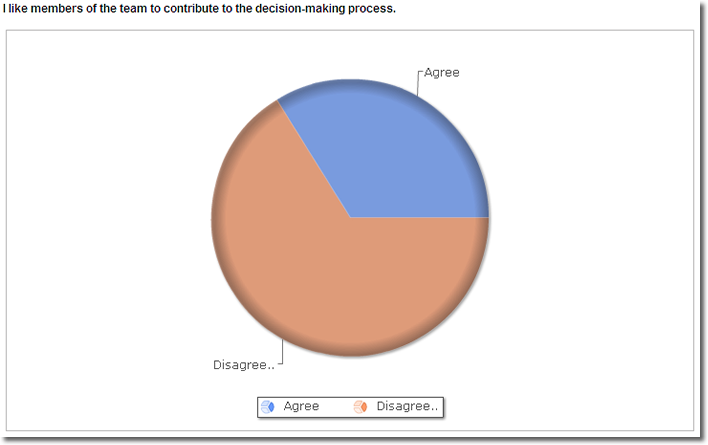 The following is a screen shot of a survey using the slider format to determine to what extent the respondent 'Agrees' or 'Disagrees' with a particular statement. The slider format is an extension of the 'Data Entry Field' format. Choose the 'slider' format from the 'Field Data Type' selection list, specify the 'Left' and 'Right' answers then click on the 'Save' button. Repeat the process to add further slider formatted questions. When the slider results are analysed through the online Results Analyzer the report will show the degree that all respondents chose between the two answer options. The style of the slider can be changed using the Styles facility, by clicking on the 'Defaults' button. And then click on the currently selected slider, and select by clicking, a new slider format from those displayed.